Any attempt to record, reproduce, cover or tamper with any of these copyrighted materials will be considered a breach of copyright laws and will be addressed accordingly. All rights for this recording, including but not limited to the scripted contents, the song, the monologues, etc are the sole property of Yasmine Van Wilt and JEu Productions. This is the first episode in an audio drama series entitled The End of the World As We Know It. The series is inspired by and dedicated to Van Wilt’s extraordinary grandmother Louise Clarice. Set in a futuristic, mythic world, the piece brings together magical real new historicism, offering a revisionist and magical real history of WWII and the Cold War, from Louise Clarice’s perspective. Dr Yasmine Van Wilt is delighted to have had the opportuni ty to work with these two extraordinary artists. She has collaborated with the inimitable Emmanuela before, and will call upon her skills to continue this series. She relished the opportunity to worth with Ms Henly whose work she greatly admires. Van Wilt is a two time Women’s International Playwright (’12, ’15). Her play The Interrogation was developed in Greece in July 2013 as part of an EU initiative examining theatre in crisis. She also received development funding from the EU for the performance and development of previous versions of Unplugged. Her play We’re Gonna Make You Whole, which she wrote, directed, constructed the score for and performed in, was published by Oberon Books in 2011; selected monologues were re-published in the Oberon Book of Modern Monologues 2 (in both the editions for men and women). She has published numerous poems and short form works. She records under the names Van Wild and Elle “A”. As of December 12, her track Cherry Tree is in the Top 100 on Top 40 US radio (MediaBase charts). In 2012, her Elle “A” track Amazing reached no. 7 on UK Upfront and Commercial music charts. It has been on more than 20 global networks including Sky TV, Box TV and Lifestyle TV, has been on the radio in more than 30 countries, and has more than 560,000 hits on YouTube. Yasmine is presently touring as Van Wild. 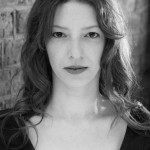 Emmanuela Lia is a graduate of Veaki Drama School (GR. ), Stella Adler studio of acting (N.Y.) & BSA (stage combat/UK). Before she moved to England she was working for the National Theatre of Northern Greece. In England she performed in plays by O. Wilde, A. Radcliffe, G. Eliot and more. In 2012 her French novel adaptation The Devil in Love was staged at the Courtyard Theatre. She also works in films and was offered a part (Alexandra) in the only Greek feature film with M. Scorsese as the executive producer and Damian Lewis in the Lead, The Brides. 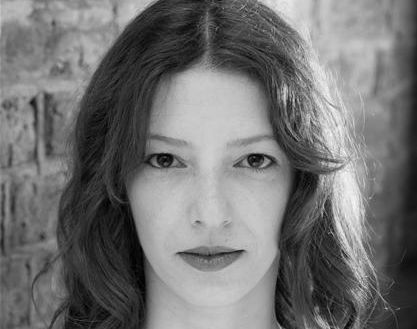 In April 2013 she was in Athens where she (along with the writer/director Ioli Andreadi) was invited to perform a monologue based on the historical/religious figure Kassia. The play closed to great reviews and featured on National Television. Upon her return she held the role of Persuasion in Socrates and his Clouds by William Lyons at the Jermyn Street Theatre that also closed to great reviews. In 2014 she was part of two residencies with Hit the Ground Theatre Company, the first at the Lyric Hammersmith and the second one at the Barbican. 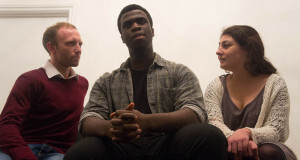 She also performed in the rehearsed reading of Kassia at the White Bear Theatre. She’s a regular workshop leader on Greek drama at Transmission workshops. Emmanuela is currently in Athens recording a series of Audiobooks for the Greek National Institute of the Blind. This is her third collaboration with Yasmine Van Wilt. 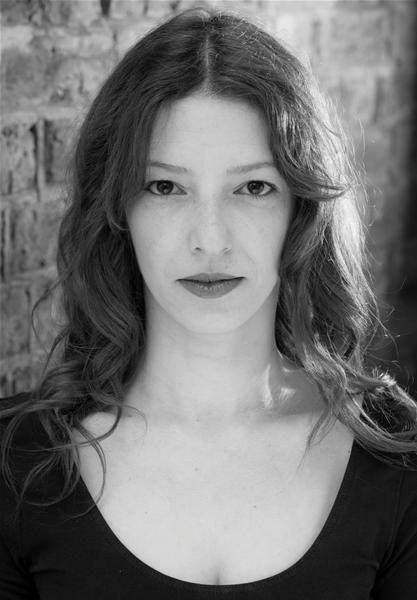 Sarah Henley has been writing and directing for theatre for the past six years, having trained originally in law, and then as an actress. She is currently assisting Tony-award winning writer, Jeffrey Lane, on Bertlett Sher’s West End production of Women on The Verge of A Nervous Breakdown at the Playhouse Theatre London. 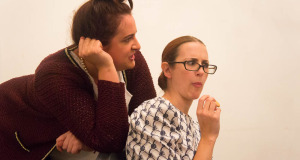 Sarah has co-written the book for Streets, Interval Productions’ most recent project which transferred to the Hackney Empire and was nominated for various Offies including ‘Most Promising New Playwright’ and ‘Best New Musical’. Most recently she co-wrote the book for Another Way – a new musical featuring the music of Benedict, also nominated in the ‘Best New Musical’ category at the Offies. She also wrote From Where I’m Standing, Delirium Theatre’s latest play which received 5 star reviews and The Stage’s ‘Must See’ badge in Edinburgh this year. Sarah wrote the book for, and co-directed the extremely successful After the Turn for Interval Productions in 2012. Sarah also works as coach and trainer/facilitator and has designed and run workshops for young people, corporate groups and artists. For more information see www.sarahhenley.co.uk.